This is post is from a lecture about how we relate to the world and how new technology might affect us in the future. Its from a couple of years back, but its still pretty valid. Its about asking the question -What if? There one industry that has made it a good tradition to ask this question, and that´s the automotive industry. 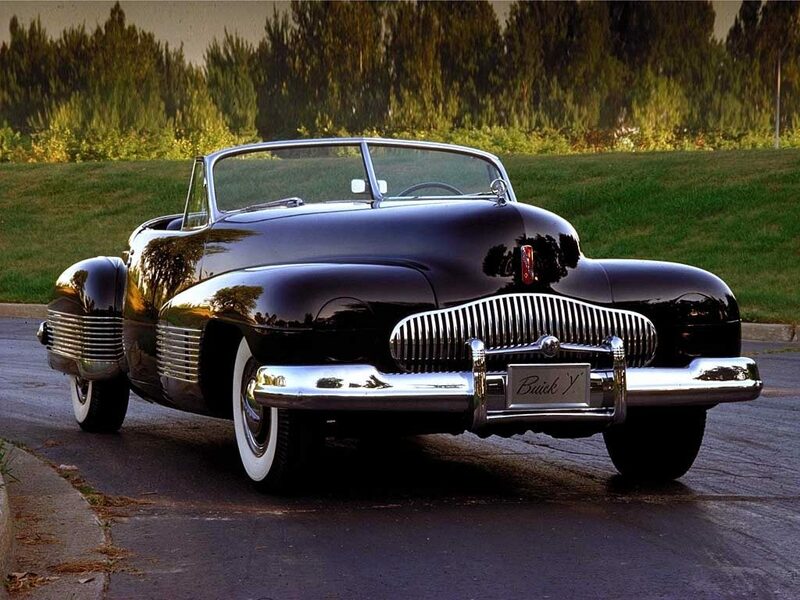 One of the first concept cars, Buick Y-Job, was designed by Harley Earl in 1938. Car exhibitions such as Motorama did much to popularize concept cars in the 50’s, and today, many of us are looking forward to a new show car, – and as a side effect we might even look forward to the future. Development of concept cars is a very important tool for the automotive industry and is used to show new opportunities, test and develop new technology, create synergies between car manufacturers and subcontractors, and of course, creating internal and external enthusiasm. It’s about being ahead of the events. An important element here is to create scenarios and raise issues about future human needs, infrastructure, demography, environment, material technology, legal requirements and security. This is how our brain works too. It is continously building scenarios based on existing data that it uses to predict what might happen sometime in the future. While technology evolves exponentially, there are also many more players to take into account in a world that is becoming increasingly complex. Developing conceptual solutions is time-consuming and resource-intensive and it´s difficult to integrate into an ongoing development program. Therefore, the automotive industry works in parallel with research and development in separate units, often in places with somewhat less snow than in Norway and with a perhaps a slightly more progressive culture. Here solutions are developed that can be used in ongoing development projects. Once or twice a year, the results are put together and presented as a concept car. Here you can test the audience’s reactions and show that you are still in the game. When the development of future scenarios is so central, both in our own minds and in successful companies, why are there so few companies outside the automotive industry that work this way and asks the question – What if? It seems that most companies are happy to tamper with earlier solutions that once laid the foundation for the company’s success. There are fortunately exceptions and parts of the Norwegian maritime industry that deserve honors because they have begun working in a way reminiscent of the automotive industry. They develop future visions. This has yielded positive results. In addition to resulting in more user-friendly technologies and systems, it has also put the companies in a new exciting light that certainly also makes it easier to attract the best talent. A positive side effect is that it is incredibly exciting and motivating for a company to engage in developing solutions where you are given the opportunity to ask the important question on a regular basis – What if? Research on future solutions must be a continuous process and not trated as a quick fix because a competitor has come up with something new and better. Then it’s too late. With this I do not mean that you should stop improving existing good solutions, but that you also have to invest time and resources in developing your own disruptive innovation before some one else does it. If you are interested in reading more on “disruptive innovation” and how our brain works, I recommend these two books, the classic “The Innovator’s Dilemma” by Clayton M. Christensen ( 1997) and “The Future of Mind” by Michiou Kaku (2014).